RECENTLY, the CSS written examination results were announced — apparently, only a dismal two per cent had passed. The poor result triggered many discussions across various media about the dwindling standard of education in the country. In a separate, but somewhat related development, the honourable chief justice recently commented on Pakistan’s poor governance and how ours is a ‘monocracy’ in the garb of democracy. The question is: do we really need extraordinary individuals in the civil service? Exercise helps make muscles stronger and more powerful; inactivity renders them limp and powerless. The same can be said of intellect. Even if able-minded, dynamic individuals join the civil service, the system is designed to blunt their cutting edge. The current system places a lot of focus on the politician (the temporary executive) and very little on the civil servant (the permanent executive). There is no need to have brilliant minds when all you are going to do with them is throw their potential away or leave them to rust indefinitely. Mediocrity is most welcome in this country. For example, civil servants in this country are hardly ever involved in policymaking. When it comes to town planning or development projects, it is generally the wishes of politicians that prevail. Prudent civil servants can continue to amass their offices with plans but, at the end of the day, the plan most likely to see the light of day will be the one that gets the nod from politicians. Political mileage is key. Then comes foreign policy; the government also sometimes appears to be at sea on this front despite the fact that the prime minister himself holds the portfolio of foreign minister and also has the counsel of a couple of very senior advisers. Civil servants hardly have an input in foreign policy, they are mere paper pushers. Pakistan Railways claims to have turned things around for good. Even if we are to believe their claim, does this so-called turnaround have anything to do with the intake of civil servants? The answer is a simple ‘no’ — the only thing that changed in the department from the previous government was the minister. The new generation’s able minds should consider joining the private sector, where they can generate valuable revenue for the country and create jobs rather than bask in the glory of so-called permanent government employment. Let them explore new horizons in science and technology. Let them study from the developed world and design indigenous development models for Pakistan. Let them join the media, where they can report objectively. On second thought, this might not be a good idea; it would be hard to muzzle them at will. At the cost of a small digression, it is relevant to mention here that, irrespective of the outcome of the Cyril Almeida report, one thing is for sure: a lesser media group or a lesser journalist will think a thousand times before breaking any such news in the future. This, perhaps, serves the purpose of silencing the messenger — if not essentially shooting him. Mediocrity is most welcome in this country; anything that is not run of the mill is unwelcome. One might well imagine how a government would deal with a civil servant who does not blindly conform. It should be kept in mind that, unlike media persons, a civil servant has no leverage to present his side of the story and any such objectivity would lead to immediate removal from service without anyone even taking notice. Lastly, the bitter truth. 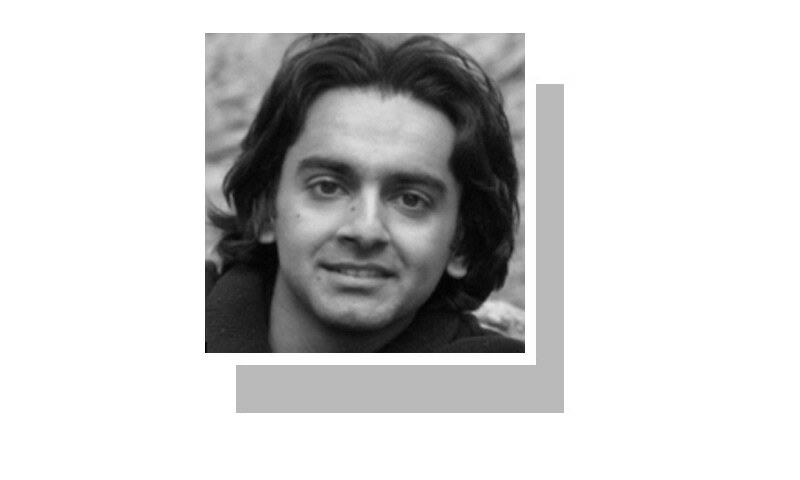 The falling standard of Pakistan’s civil service aspirants is actually in keeping with our democracy — one that has the appearance of a monocracy. Such circumstances call for ushering in even more ‘brain drain’, as any individual who thinks analytically or has an opinion is actually a troublemaker in a monocracy. It seems that the youth are starting to get the gist of it, and now fewer and fewer capable people aspire to join the civil service. Sadly, the balance (or imbalance) of power among state institutions is such that the civilian government is being run on an ad-hoc basis and, therefore, requires no vision. The government should encourage the youth towards other trades where they can more significantly contribute towards this country’s progress, as reforming the civil service does not appear to be on cards any time soon. Although everyone cannot be painted with the same brush that explains a lot doesn't it? Sir I did engineering from UK with first class (4/4 GPA), came back to Pak and studied for 1 year to prepare for CSS, failed it. They gave me 14 marks in Essay despite my English medium education and even British people used to praise my English, I spent many years abroad. Many brilliant people are being deliberately failed as they cannot interview a lot of people, so they target papers. One year they target Essay, the next it will be Precis. It is actually the standards of our commission and governance that are falling into the abyss. Many toppers and under-training people have failed subsequent exams. Just look at the personalities of people passing this exam. Of course everyone is not like that but a large number of people are not that bright or open minded people. The brightest ones are going abroad. I work in Pakistan's top university in Lahore. Roaming around in the campus, you will hear CSS and CSS from everywhere. Such a sad state of affairs. In a democratic dispensation, real power must remain with the elected representatives of the people. It is our fascination with the British systems of governance that makes up place so much faith in the bureaucracy. What a pessimistic view saadat are you leaving this generation with, come on bro, pesimissim is the last thing we need. What can I do being an engineer, working in multinationals, where only maintenance of equipment is required? Than you would suggest me to go and study abroad. Well, even after that would Unbe of aome use to the country? No! Because you dont realy have research going around here and I not being part of the decision making process can only be ending up being depressed or leaving the country. In bureaucracy lies our only hope! Where the young guns get atleast an oppurtunity to exercise some sort of power to change the state of things. Throwing oneself out of the status quo will never be a solition. And looking at the facts the number of applications are just on the rise every year and the reason we had lesser number of applications, among many was the change of syllabus. I don't have enough space to argue each argument of yours but please stop spreading Pessimism. The same is the problem with the Indian civil services system, even though there are some bright spots and the Modi administration has struck terror in the heart of the Civil servants with demands for better performance, we too have a long way to go. CSS provide them great chance of corruption. easy way to become rich and of course power. Power to have influence on many thing like recruitment in private sector and somehow government sector as well (because there politician lead) , transfers, hiding cases, imposing cases etc. You say technology media, this and that. Do you really think the private sector is fair and providing fair opportunities. of course not Punjab and Karachi are enjoying all benefits from private sector and those private sectors are recruiting LUMS and Karachi IBA's graduates. sadly we all just men of words not actions. @Adeel Agreed bro. We can only fight corruption, injustice, cruelty when we are in the system. Outside the system we are just lookers on. Honestly speaking there are rules regulations of the govrnmt even about how to attend the washroom so if v apply rules in our capacity no matyer gtade 17 or gtade 22 we can make a big diffrnc bro. If everyone contributes just a little, it can do miracles. I believe we must do our part and there r ppl in burcracy who are doing their part and thays why this country is running every1 is not a bkind follower of the ruling political whims n wishes. Many honest burcrats are cintributing to the devlpmt of ths nation. Excellent article. I, being a CSS aspirant myself find this totally relatable and this is exactly the argument I provide to my parents who wish for me to be a government "servant", for the mere perks of it. @Adeel An opportunity is exactly what you don't get. CSS is a gamble from exam till retirement. Wasting time and energies for trying to push mountain in vain. Non conformists are shunned away and the conformists burden the system. Hardly few prefer serving the state and people over family and leisure. well said sir. CSS affair exactly reflects our politico-social disarray. The CSS is not held in high regard by most people of my generation - it is rightfully regarded as old, outdated and mentally and professionally stifling. I'm assuming that the majority of candidates who apply for it are from the smaller cities or towns (which could explain the very low passing rate). Any bright mind knows that their talents will be far better appreciated and rewarded either abroad or in a multinational. Sadly, both the military and civilian establishments prefer to keep it this way - they hate smart critical thinkers and dissenters who can point out the holes in their outdated pants. @SAK Unfortunately this seems to be the sad state of affairs. My story mirrors yours as I too graduated from the UK with a first class degree, studied for a year and then appeared in the CSS exam. Having always scored exceptionally well in all my previous English papers and assignments I was shocked to learn I had failed the Precis and Composition paper, as did most of the capable candidates I knew. It seems as if the system deliberately sets out to fail as many students as possible, and not necessarily in a meritocratic way. @Amjad Nassir you said it right. there are good people as well and we all have to contribute our part. Well said !!! Well, sir, I appreciate your valuable judgement of the CSS affairs and I love to read your articles too, but with due reverence, does that mean, we shouldn't even try to be in and compete at our scale? Sir, the tone of your article is completely negating any efforts on the aspirant's part and is rather acknowledging them as, somewhat, inane and futile. Sir, don't you feel like Your worthy opinion can provide a means of whining to the failing students and will allow them to make blurt connotations, in it's guard? Doesn't it make you equally complicit in the act, too, sir. At the end what matters is the effort that one puts in and not the whining! But having said that, I do agree that our education standards do not, by any means whatsoever, comply with the competitive examination standards and so, students fail. And yes, this is surely an issue to be pondered but not deflected away with arguments that depict a preposterous approach from even the most brilliant minds around.